Very quiet, comfortable and easy to drive. Practical, spacious cabin. Good value for money. 2018 Honestjohn.co.uk Car of the Year. Some of the best technology is only standard in top models. Seven seats not standard on lower trim levels. Smaller petrols feel underpowered. 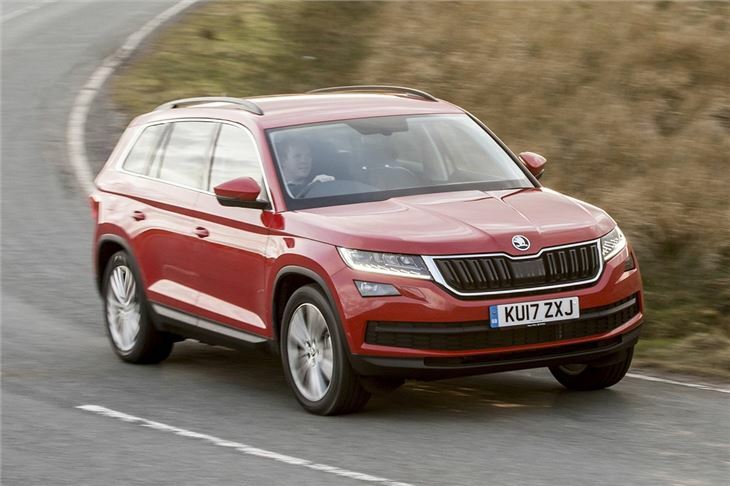 The Skoda Kodiaq is everything a family car should be. Comfortable, spacious, affordable, well-equipped, practical and safe, it’s almost impossible to pick fault with. In fact, if you’re looking for a new petrol or diesel SUV with five or seven seats, we think it’s probably the best choice you can make. Having said that, if you opt for the seven-seat model be aware that those back two seats are for 'occasional' use at best. Access is tight and they’re quite small, with no Isofix mounting points. 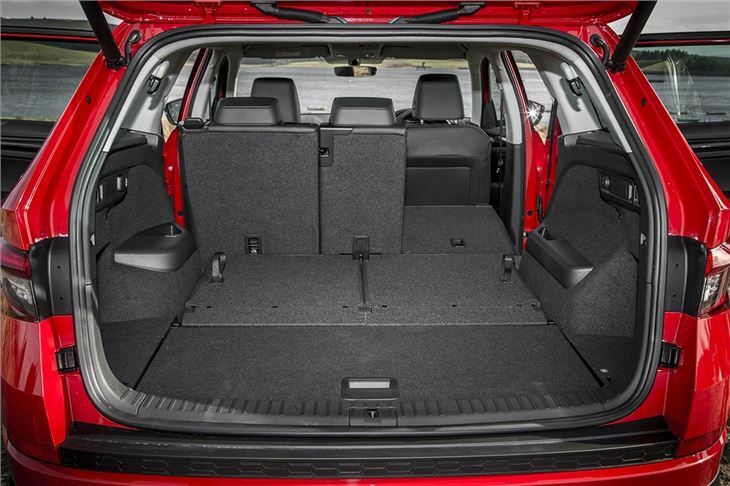 They do fold flat into the floor, though – leaving a huge and extremely practical boot in five-seat configuration, with ample leg and head room in the back row for adults to sit in comfort. The Kodiaq is impressive up front too with a comfortable driving position and excellent build quality. The dashboard inlays, plastics and switchgear all feel plush yet sturdy enough to survive years of family car life and there’s a good level of equipment. This includes an easy-to-use touchscreen system on all models, featuring smartphone connectivity. There’s also plenty of safety tech as standard, including auto emergency braking. 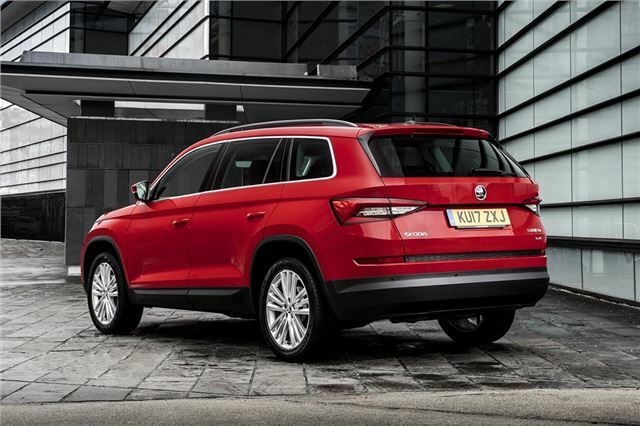 The most popular engine is the 2.0 TDI while there's also a 1.5 TSI petrol or a 2.0 TSI. Whatever engine you opt for, noise is very well suppressed – but if you regularly carry a full load we’d recommend avoiding the basic 1.5 TSI 150PS. Most buyers not put off diesel will choose the quiet, punchy 150PS 2.0 TDI which has official NEDC fuel economy of up to 56.5mpg. On the road the Kodiaq is incredibly quiet, extremely comfortable and very easy to drive, despite its size. Ride quality is good and the handling is neat and predictable, if not all that exciting. 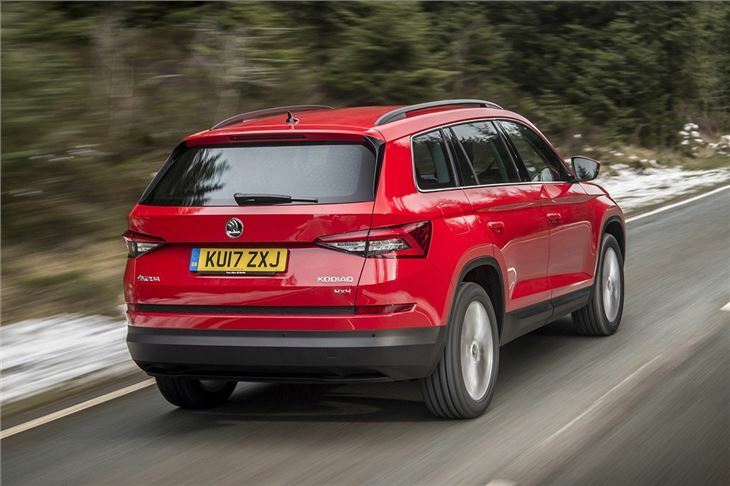 Most of the engines can be paired to an all-wheel drive system, so the Kodiaq can cope with a bit of off-roading, but it’s better to think of the 4x4 versions as all-weather, rather than all-terrain. 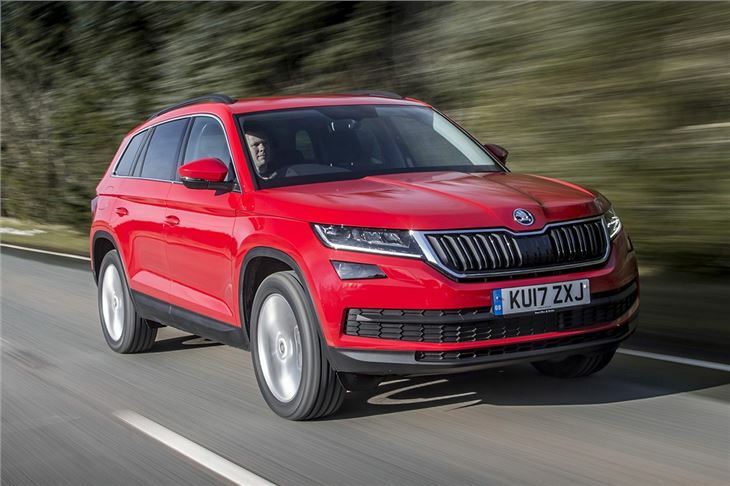 If you need a family SUV and you don’t want to spend a fortune, it’s hard to go wrong with the Skoda Kodiaq. For similar money you can also get the Nissan X-Trail, Hyundai Santa Fe and Kia Sorento – but we think as an all-rounder the Kodiaq beats all three, since it feels like a higher quality, better value car. Factor in the relaxed drive, safety gear and convenience technology and it’s a clear winner. Comfortable, roomy, well equipped - brilliant. Our best car yet, but thirsty.